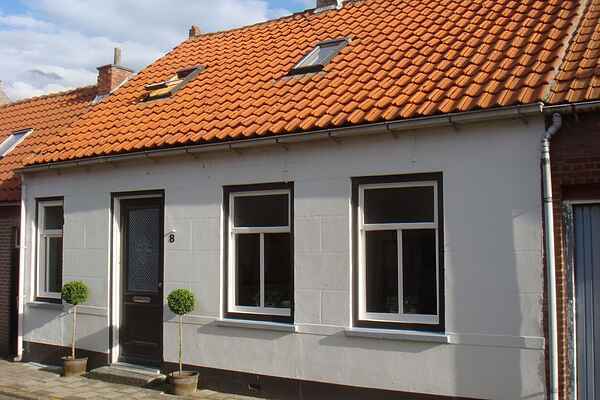 This authentic Zeeland home is peacefully located in the picturesque and cozy village of Groede. Everything you need for a peaceful holiday where nature and the beach are most important. There is a cozy living room with adjacent kitchen with a nice dining area. From here you reach the backyard. It is partially enclosed and features a nice sunny terrace and a trampoline. In short: you can relax here while the children are playing. In Groede you can get delicious fresh bread in the morning: there are plenty of shops, a supermarket and several nice restaurants. From here you can enjoy cycling along the coast and visit nice places like Sluis, Bruges and Cadzand. In a fifteen-minute bike ride you can be at the beach. You can also use the bicycle ferry from Breskens to Vlissingen.